Maybe it's all the rowing we've been watching at the Olympics but we're feeling the love for all things nautical. 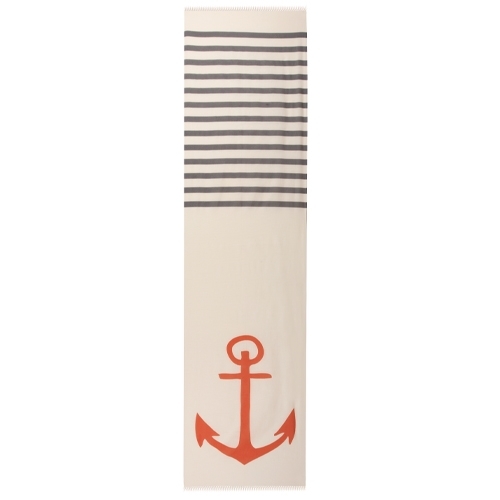 This Anchor scarf from designer Thomas Paul is a perfect nod to our Summer athletes and yet we think it would still make us feel slightly like social climbing Hamptonites all at the same time which could be a fun departure from reality. Available through his website here.